Does anyone have a related experience to share? 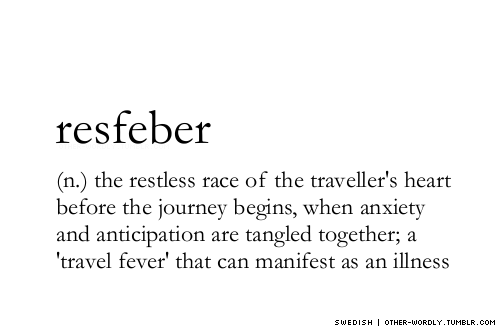 Or do you have other obscure travel-related words to teach us? I love this question. Last year we became a little obsessed with the concept of “fernweh,” which is a feeling of homesickness for a place you’ve never been. We even got to turn it into a segment for NPR! I am very pleased to now know the word “coddiwomple.” I have a particular friend who looks for restaurants this way—I have spent many hungry hours following him about. I think German is magnificent in its creation of huge compound words to get a specific idea across. Fernweh obviously isn’t huge but it makes sense. Words like Waldeinsamkeit from another post is a great example. Next time, bring snacks with you. When I was little, I would be so excited at the prospect of traveling with my family that I couldn’t fall asleep the night before the travel. As a child, every morning when I headed out the door to walk to school, my Mother wagged her finger and said, “don’t dawdle!” I was always very slow walking to, and from, school because I couldn’t help exploring every little detail and wandering on and off the path along the way. Dawdling is the best! I think Darwin was probably the best dawdler of all time. Agreed!! you have to do a bit of dwadling with a dab of dillydallying to learn about the world. As long as you don’t turn into Mr. Magoo…no better case of nearsightedness and dwadling gone awry. I’m a geomorphologist, and use related terms to describe my travels. “Meander” would be my equivalent to coddiwomple. “Eddy” is when a river dawdles. This thread is getting really delightful. I’ve not heard “dawdle” in a long time. My Pop says “dilly dally” often. Love it. Oh boy… dawdle is a word I heard frequently growing up. I didn’t have much of a sense of urgency when I was younger. I still use it as my daughter has the same urgency I did… she gets called “the Dawdling Daughter” on occasion. Look you can never go wrong with s slight dilly-dally! Neverrrr! 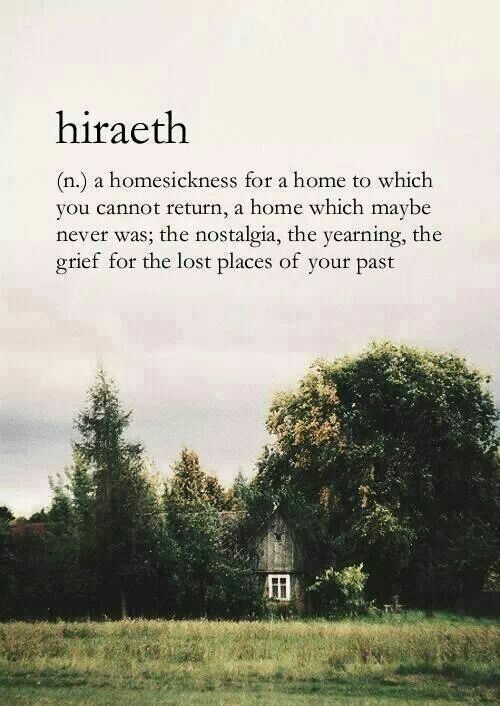 Fernweh reminds me of hiraeth, which is Welsh. Oof, that word is an emotional gut punch. I love it.